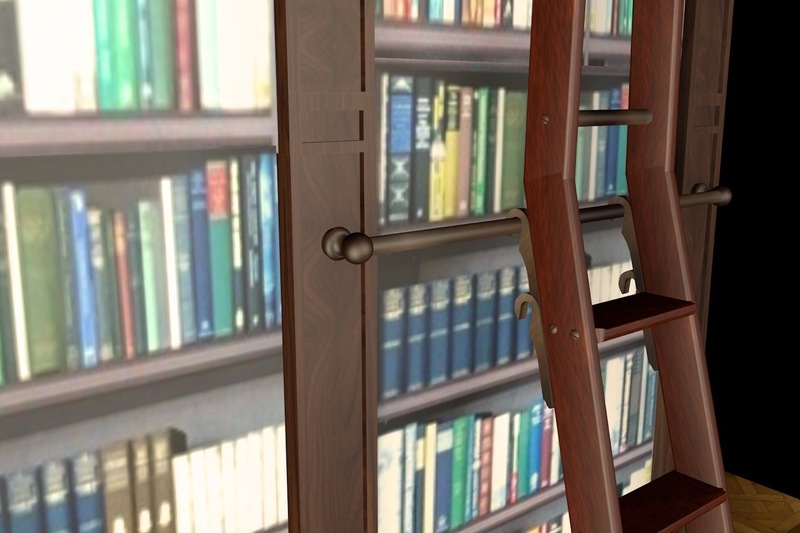 We were recently approached by a private client, seeking a ladder solution for his personal antique library in Scotland. 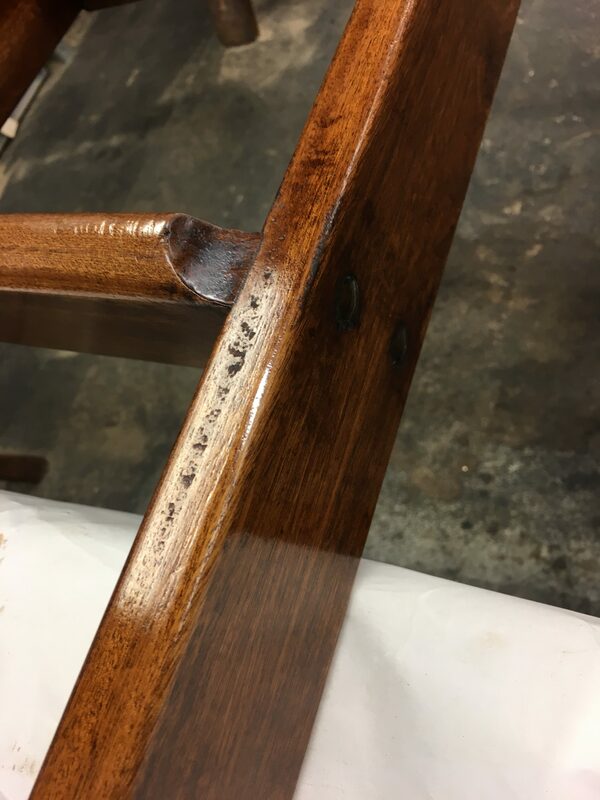 No strangers to challenges and solving problems, we welcomed this project with open arms, as ultimately were were being asked to produce a pair of brand new, matching ladders which would use a variety of our skills, from joinery and metalwork to ‘infusing a little magic’ to create a truly antique finish! 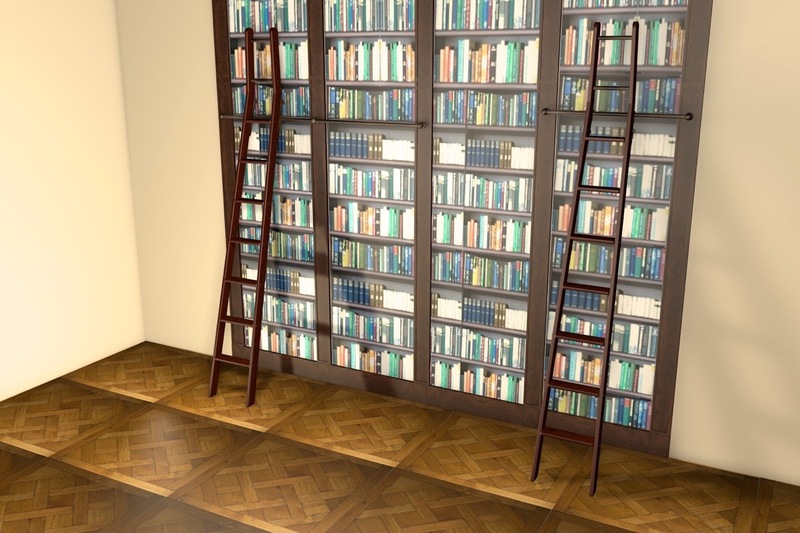 As the saying goes, the ‘devil is in the detail’ and it became apparent early on that there was quite a range of heights at which the ladder rails would need to be positioned on the bookshelves, therefore we needed to devise a solution which could work with these multiple heights. 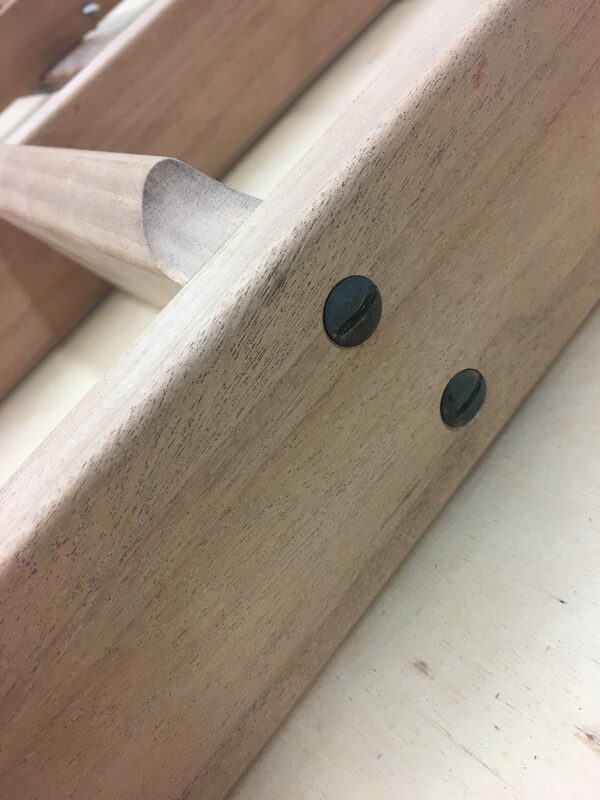 When making a standard ladder to one specific rail height, we use this rail height to calculate the length of the ladder. 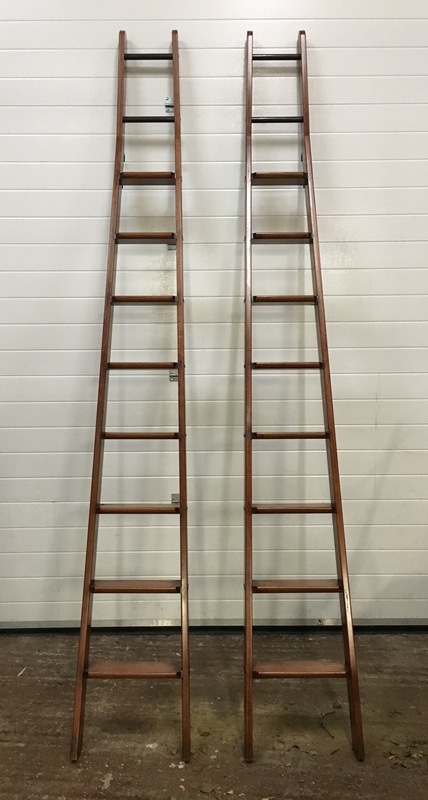 The ladder length will dictate the angle at which the ladder leans, therefore it is very important to select a comfortable and safe incline for use. To do this, we use the ‘Four-in-One’ rule (read article). On this project we managed to retain the architects’ standard angle by placing an additional set of hooks on the vertical section of the ladder, around 100mm above the first set, thus preserving both the ladder angle and keeping the treads parallel with the floor ! 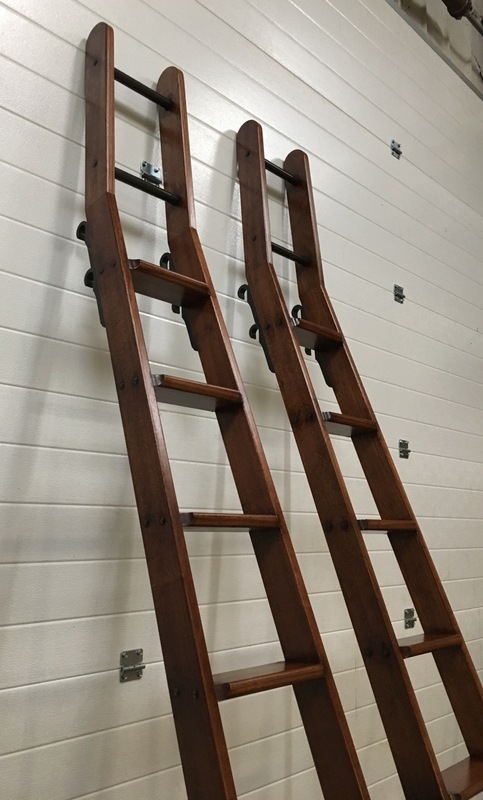 The client had also defined his preference for an antique style of ladder and the specifics were honed through our conversations around various samples/photos of period ladders. Once the overall decisions were made relating to the style and design, we set about producing a range of 3D visuals for the client to approve. These 3D visuals are hugely important as they really bridge the gap between a written description (albeit with supporting images) and the completed piece. (To learn more about our 3D visualisation service please get in touch.) 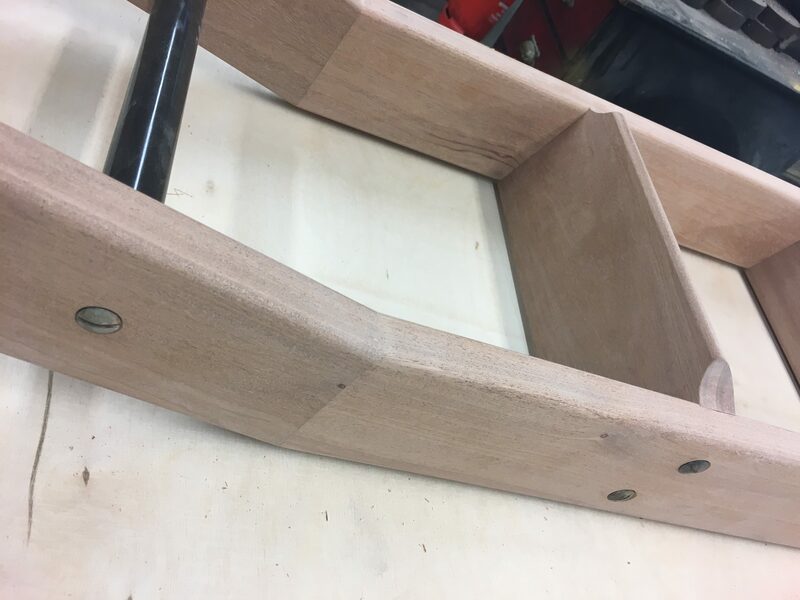 From here, the finishing choices were confirmed regarding the colours and overall finish, which in this case became a slightly lighter chestnut colour. 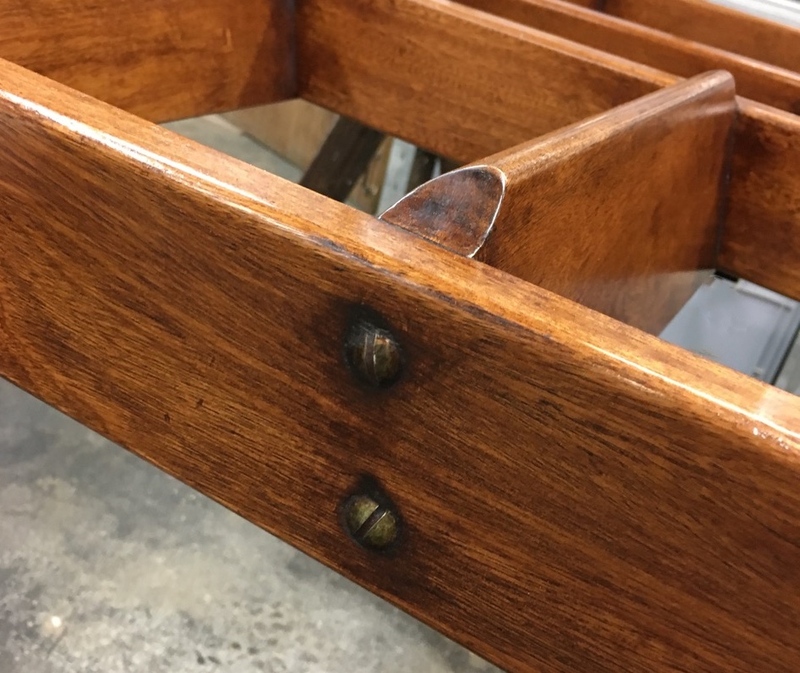 With the specifics now agreed based on the virtual designs, the real pieces were put into production and the result was fantastic – a pair of brand new wood and metal ladders which had been aged to appear as it they had been ‘part of the furniture’ for circa 100 years!